What could be more commonplace than grass or a world covered over all its surface with a wind-whipped ocean of grass? But the planet Grass conceals horrifying secrets within its endless pastures. And as an incurable plague attacks all inhabited planets but this one, the prairie-like Grass begins to reveal these secrets - and nothing will ever be the same again. The Elder Isles, located in what is now the Bay of Biscay off the coast of Old Gaul, are made up of 10 contending kingdoms, all vying with each other for control. At the centre of much of the intrigue is Casmir, the ruthless and ambitious king of Lyonnesse. His beautiful but otherworldly daughter, Suldrun, is part of his plans. He intends to cement an alliance or two by marrying her well. But Suldrun is as determined as he and defies him. In Volume 1 of the classic Gormenghast Trilogy, a doomed lord, an emergent hero, and an array of bizarre creatures haunt the world of Gormenghast Castle. This trilogy, along with Tolkien's Lord of the Rings, reigns as one of the undisputed fantasy classics of all time. At the center of everything is the 77th Earl, Titus Groan, who stands to inherit the miles of rambling stone and mortar that form Gormenghast Castle and its kingdom. In this first volume, the Gormenghast Castle, and the noble family who inhabits it, are introduced, along with the infant firstborn son of the Lord and Countess. Titus Groan is sent away to be raised by a wet nurse, with only a gold ring from his mother, and ordered to not be brought back until the age of six. By his christening, he learns from his much older sisters that epileptic fits are "common at his age." He also learns that they don't like his mother. And then, he is crowned, and called, "Child-inheritor of the rivers, of the Tower of Flints and the dark recesses beneath cold stairways and the sunny summer lawns. Child-inheritor of the spring breeze that blow in from the jarl forests and of the autumn misery in petal, scale, and wing. Winter's white brilliance on a thousand turrets and summer's torpor among walls that crumble..."
In these extraordinary novels, Peake has created a world where all is like a dream - lush, fantastical, vivid; a symbol of dark struggle. As others have noted, Peake is often spoken of in the same breath as Tolkein. They are undoubtedly two of the greatest English fantasy novelists of the twentieth century. But rather than thinking of Peake as similar to Tolkein, it's perhaps best to think of him as the anti-Tolkein. Both Peake and Tolkein are great at what they do, but they're up to rather different things. If The Lord of the Rings is a basically celebratory series that focuses on plot, Peake's Gormenghast books (not, by design, a trilogy, but the first three books of a longer series cut short by Peake's untimely death) are deeply cynical and are about character and, above all, setting. While Tolkein's world is full of magic, monsters, and a variety of non-human races, Peake's is largely without all these things. I'm a longtime Tolkein fan who is now also a Peake fan. Plenty of people appreciate the qualities of both authors. But others love one and detest the other. For example, the great British novelist Michael Moorcock is a proponent of Peake and a detractor of Tolkein. At any rate, this book is a classic that deserves a listen by those prepared for something un-Middle Earth-y. And Robert Whitfield's reading is truly outstanding, as he effectively brings to life the many characters who populate Peake's book. I completely understand why a lot of readers would give this book a low rating. Many readers, and especially readers of fantasy, get very comfortable with the presence of cliches, and this book just doesn't give them any. Titus Groan doesn't have a grand good vs evil narrative, there is no sword play, nor wizards, nor damsels in distress, nor teenager-saves-the-world narrative. You get none of the usual formulas. The action is sparse, the language is thick, and the world is just sort of weird. It's not something that an average teenage fantasy fan will enjoy. With that said, Titus Groan is a fantasy masterpiece. In its weird way, it's every bit as rich as Tolkien or Rowling. The characters are bizarrely entertaining, and the challenges they face are, if not quite the all-encompassing fight for civilization, nonetheless poignant and intriguing. As strange as the novel is, it feels more real than most fantasy. Titus Groan is a novel without a contrived road-map, and it is as much high literature as it is fantasy. Good literature is challenging: it forces you to think, and if you engage in it, it is far more rewarding than a thousand sword and sorcerer novels. Readers who think in cliches will either fail to understand the novel or will grow frustrated at the meandering plot. But for those who like a challenge, who enjoy reading about a fantastical world for its own sake, and who have an attention span that hasn't been crippled by frenetic, pop-culture oriented fantasies, this book is well worth it. It's strange and rich and utterly unlike anything you're ever going to see again. It's beautiful. Mervyn Peake's Titus Groan (1946) is unique. Dense, funny, sad, hermetic, and epic, it stands alone in the landscape of literature, like the labyrinthine, "umbrageous," and craggy castle Gormenghast, in which the Groan family of earls and their servants and workers are ruled by iron tradition and obscure ritual. The novel begins with the birth of Titus, the unsmiling son of Sepulchrave, the 76th Earl, and with the escape of Steerpike, the amoral, clever, and ambitious kitchen boy. These events initiate "that most unforgivable of all heresies," change. Peake writes the stifled life of the decaying castle and its grotesque inhabitants with humor and empathy. And with intense detail, so that it might be difficult for a first time reader/listener to enter Peake's world of baroque descriptions and bizarre yet apt metaphors. But the persevering reader drawn more to the strange pleasures of a poet-painter's skewed imagination than to the familiar excitements and moral clarity of Tolkienesque fantasy will discover a strange world full of unforgettable characters, events, and images. A few of my favorites are: a room full of white cats; a field of flagstones framed by clouds; a poem read out of a window by a wedge-headed poet; a gift ruby red "like a lump of anger"; a room tangled by painted roots; a library refuge of row upon row of priceless--and flammable--books; a sinister equestrian statue; a funeral featuring a headless human skeleton, a calf's skull, and a blue ribbon; a one-legged, foul-mouthed dwarf walking back and forth over the dishes of a ceremonial breakfast; a deadly duel featuring a two-handed cleaver, a sword, and a room full of spider webs; a pair of voluminous purple dresses floating on a lake; a serious baby making "a tiny, drunken totter . . . on a sandy beach." Robert Whitfield (Simon Vance) reads Titus Groan with flawless enunciation, rhythm, and feeling. I often found myself rewinding to enjoy again his enthusiastic reading of Peake's rich language and eccentric characters. Although I was disappointed by his Fuchsia (more simper than passion), his other characters were great, especially his Flay (terse gravel), Swelter (flabby unction), Steerpike (cold, cocky working class), Nannie Slagg (wrinkled querulousness), Dr. Prunesquallor (falsetto trilling "Ha-ha-ha-ha! "), and the twin sisters (vain and venomous monotone). There is none of the magic or supernatural of typical fantasy novels in Titus Groan. Nevertheless, it is a fantasy novel because it presents a more ugly, beautiful, absurd, sad, and hermetic version of our real world. And the themes of Titus Groan remain relevant: the conflicts between imagination and ambition, emotion and calculation, and new and old; the detrimental effect on human minds and relationships of tradition, ritual, and class; the pain and wonder of artistic creation; and the difficult but vital need to find our own special place where we can be fulfilled. This one is tricky. I like it, I do. I couldn't tell you what actually happens in the story because I am still not sure. The language is glorious. If you enjoyed the language for its own sake in Jonathan Strange and Mr. Norrell, I bet you would like the language in this. and Ivanhoe. Not so much, the language in those didn't draw me in. It was too stiff and put me off. The problem here, and it IS a problem for me... super lengthy descriptions of every little thing, every thought, every expression, every everything, goes on and on and on and on. You can listen for two hours and its still the same scene in which nothing of note has happened. The rub is, I keep thinking maybe something did happen and I missed it because I was happily lost in some enchanting phrase. It is DELIGHTFULLY irritating. So I will keep playing it over and over until I am sure I have it. Even if it turns out I hate the story I will have gotten more than my money's worth. Simon Vance is always perfect. He is the only actor of many books who has never ever let me down. Titus Groan is unlike most novels that rush to get to the end. Peake treats his story like life, that it is not so much getting to the destination that's the real goal, but the journey itself that's the real fun of it all. And what a journey it is! He writes in silvery images on moonlight that creats a portrait of fine art, not just a story. The Gormenghast trilogy is (like Carroll's Alice in Wonderland) a satire on British society which is both funny and tragic. It explores a marvelous wonderland of its own behind the endless sprawling walls of the Groan's castle and puts the reader inside the workings of a stuffy upperclass and into the shoes of the working class peasants, all the while making us laugh at ourselves. The Gormeghast books are a masterpiece of 20th century literature. The environment Peake creats IS the point of the story, a world that can immerse the reader and make you hope that you don't get to the end too quickly or you might miss the roses growing along the way. This is not a book for listeners who like their fiction short and snappy. I love the richness of detail and the many-layered complexity of the Gormenghast books, but some listeners may find them slow going. This book, the first in a trilogy, certainly has more description than plot, but rewards the patient listener with subtle humor, pathos and suspense. The reading is excellent, beautifully paced and really brings the characters to life. I couldn't wait to get onto the next book. VERY slow in the start and along the way. It takes four hours to properly introduce everyone in the castle. BUT, if you're not in a hurry AND you like the unusual: this is one of those. Very well written, very thickly textured, very strange characters... and very surreal. A slow paced dip into a dream (world). A medieval circus of royal sorts. Nice. 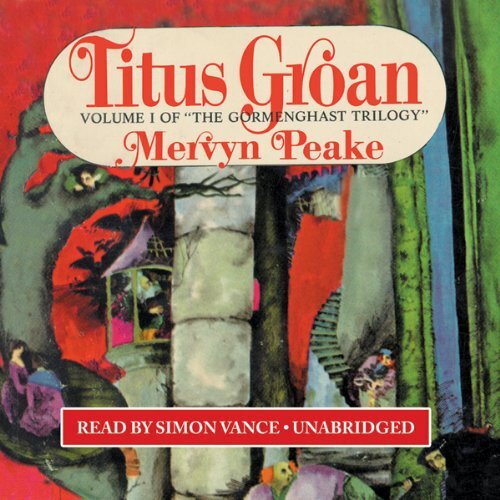 I read the Gormenghast triology about a year ago and was delighted to find it in unabridged format on Audible. The narrator, Robert Whitfield, is one of the best I've heard on Audible (excellent in Don Quixote). If you are a Mervyn Peake fan, you won't find a better download than this. Robert Whitfield brings this story to life. Peake's genius is the description of the eccentric; but his language can heavy and pace slow at times. Whitfield's reading more than makes up for this shortcoming, and completely kept my interest even when Peake's writing by itself may not have. There are two abridged versions of "Titus Groan," but get the unabridged --- because the words are the point, not the plot. There is a clear plot, and the action is also clear. But it's the dark, seductive, carefully mined and honed words that matter. Robert Whitfield is a brilliant reader, and like the best readers he plainly actually understands this book better than I did the first time I read it, and can communicate that understanding. "Titus Groan" is a parody, harsher than Dickens, perhaps Thackerian would be fair. The parody attacks useless, empty traditions of class-based aristocracy, and on its own terms, not the terms of any sort of from-below social revolution such as communism. The parody is funny, incredibly: wait for the climax at the end when the baby Titus goes through the ceremony of "earling" and casually disposes of all the elaborate symbols of his office. The hero, Steerpike, is an anti-hero, even a villain. But that's nothing: all the characters, 100%, are anti-characters. There is not a straight type that we expect among them. The doctor may be the only one with a good character, and possibly Mrs. Slag and Fuchia the sister, but all of them are not merely eccentrics, they are grotesques. I don't see how anyone could have done Prunesquallor the doctor better than the reader Whitfield read him. That was a difficult challenge for an actor-reader, but he achieved it, delightfully. The action and the plot are vivid and murderous and also grotesque. The famous setting, the many-storied stone castle that goes on for miles and miles and miles as its own self-contained world, is so original that it has been used by others: perhaps by C.S. Lewis in "The Lion, the Witch, and the Wardrobe," as the professor's house, and certainly by Tad Williams in his brilliant "Otherland." as one of the virtual sci-fi worlds the characters find themselves inside. This book is worth reading before you hear it. Note the carefully ominous word choice: the words are invariably the ones that would unsettle us. On the next order of composition, the phrases are dire even when their individual words are blameless. I assume Peake was a fan of Lovecraft, but this is not an exercise in the supernatural or in horror from the outside. Gormenghast Castle is its own world and if there is horror, no one there notices, because that is how they expect to live. I highly recommend this brilliant book with Whitfield's illuminating reading. I have never read this book and so its vastness, its pettiness, its eruptions of darkness came as a wonderful surprise to me. I found my self laughing out loud at some of the situations Peake constructed and gasping at the brutality of his darker moments. A wonderful book, wonderfully read. I sympathise with the previous reviewer who gave up on this book, I almost did too. I bought it after a recommendation on Macbreak weekly, but it took most of the first part of the recording to capture me. 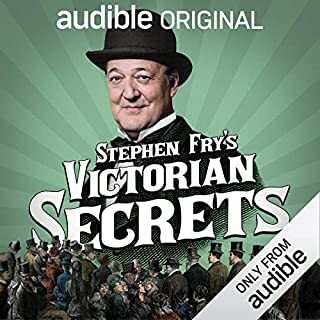 I think it's an excellent reading (though for some reason there's a repeated paragraph at the start of each audio chapter, at least in the second part of the download?) and the various voices of the characters are clearly recognisable by the time you reach the second half. So, I will be downloading the next one and probably the third of the trilogy. This classic work peopled with characters who are by turns bizarre, eccentric and manipulative has influenced a generation of macabre fantasy writing. The sprawling, brooding presence of Gormenghast Castle dominates the story. Against this dark background, the story of the grim, desperate struggles of a collection of grotesque characters is quietly compelling. No, this is not a conventional adventure story; this is a descent into a nightmare. This book is fantastic. I loved the interesting characters and the macabre, gothic world in which they live. 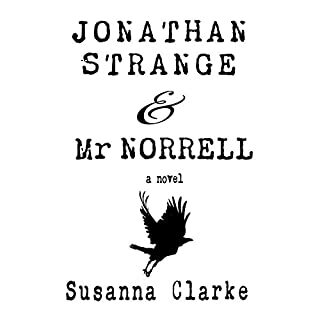 This book reminds me of Jonathan Strange and Mr Norrell by Susanna Clarke for its style of writing, elaborate characterisations and wicked humour. I will definitely be reading the remaining two books in the trilogy. Excellently read. 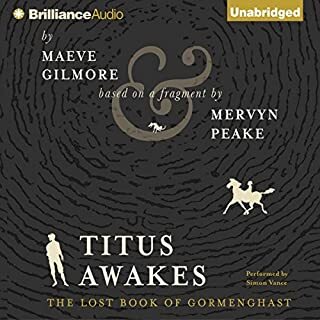 I really enjoyed this audiobook, becoming totally engrossed in the meandering tale. Peake's writing is amazingly detailed and he cleverly weaves together the daily lives and stories of each of the castle's bizarre characters. The book is professionally read with each character having their own distinctive voice throughout - no mean feat with this many characters and hours of reading! 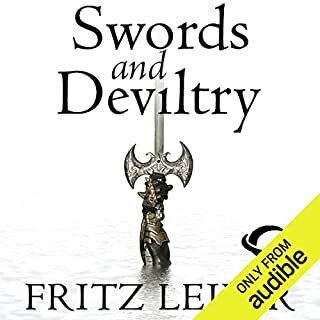 Andy Ihnatko recommended this on the MacBreak Weekly podcast and I am saddened to say it is the first audio book from Audible I have started and not gone back to, let alone finished. It takes a long time to say anything and in comparison to say Terry Pratchet the humour in his characters is sadly lacking. The author seems to be trying too hard perhaps.The first let down from Audible and the TWIT teams recommendations. A real shame. This is the first audio book that I have downloaded and actually given up on. I found the writing style bogged down with unecessary detail, when I was listening I found that my thoughts were drifting. A simple conversation between two of the characters took up to 20 minutes to say half a dozen words. 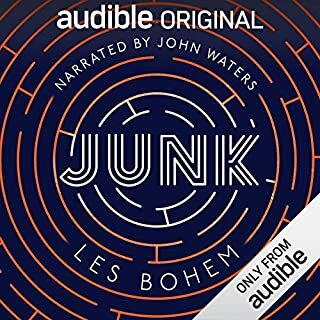 This is one of those books I decided to read/listen to because I'd heard of it, but didn't really know what it was about. It also sounded sort of interesting since it's categorized as fantasy/literature and I knew it was set in a gigantic fairy tale castle of enormous proportions complete with hidden rooms and lost hallways. Unfortunately, it sounded a lot more interesting than it was, or rather, the idea is a lot more interesting than the execution of the idea. This book reminds me of Nathaniel Hawthorn, Alice in Wonderland and a humourless Terry Pratchett all rolled into one. The story moves along like cold treacle and just reading it made me feel like I was stagnating myself. I wouldn't recommend this book to anyone. 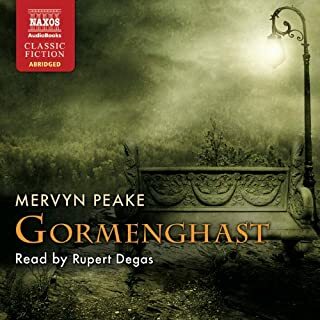 Gormenghast is a lunatic asylum full of extremely unpleasant and annoying inmates. The narration is ludicrously overdone, probably trying to distract from the non-existence of a proper storyline. After 5 hours of hoping it might get better I finally gave up.